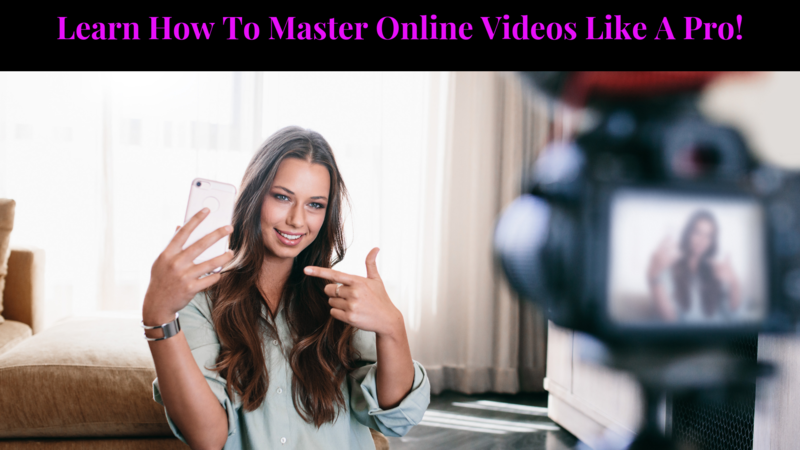 The Ultimate Online Video Training Program that teaches you how to master speaking on camera, how to create captivating video content, and how to make money from your online videos! Are you struggling with any of these things? Feeling natural with speaking on camera (especially when you feel like you’re talking to yourself). Coming up with original content consistently. Creating sound bite friendly video content. How to convert your viewers into paying customers. Knowing what to share and how much personal information you should be sharing in your videos. Feeling comfortable with how you look and sound on camera. Knowing what to talk about in your online videos. Becoming familiar with how to edit your videos. Getting comfortable with going live. Deciding which platform to post your videos on, i.e., YouTube, Instagram, or Facebook. The best places to shoot your videos. Choosing the best background for your videos. What to wear in your videos? Become more comfortable with going live. Let go of the fear of inadequacy as it relates to videos. Learn how to effectively communicate (and hone in on) your target audience! Learn how to be more confident speaking on camera, which will also help you speak more comfortably in person. Confidently speak about, and present your business and personal brand in videos. Ensure that you are saying the right things to get people to sign up for your webinars, classes, or purchase your products and services. Make money from your online videos, every week! 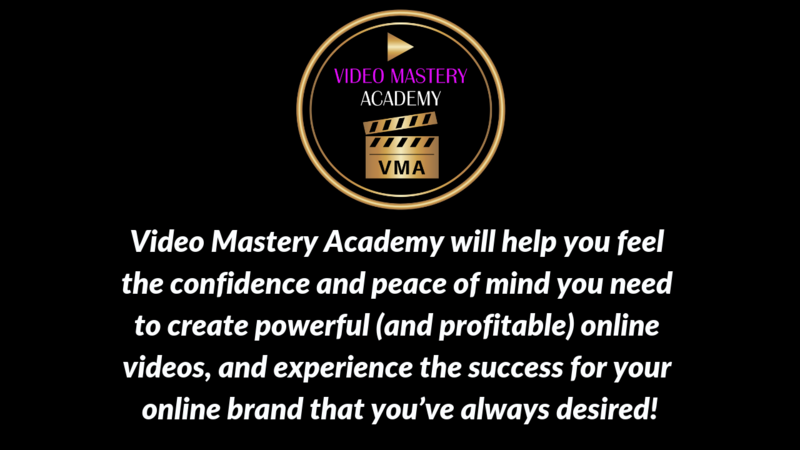 Video Mastery Academy will help you feel the confidence and peace of mind you need to create powerful (and profitable) online videos, and experience the success for your online brand that you’ve always desired! 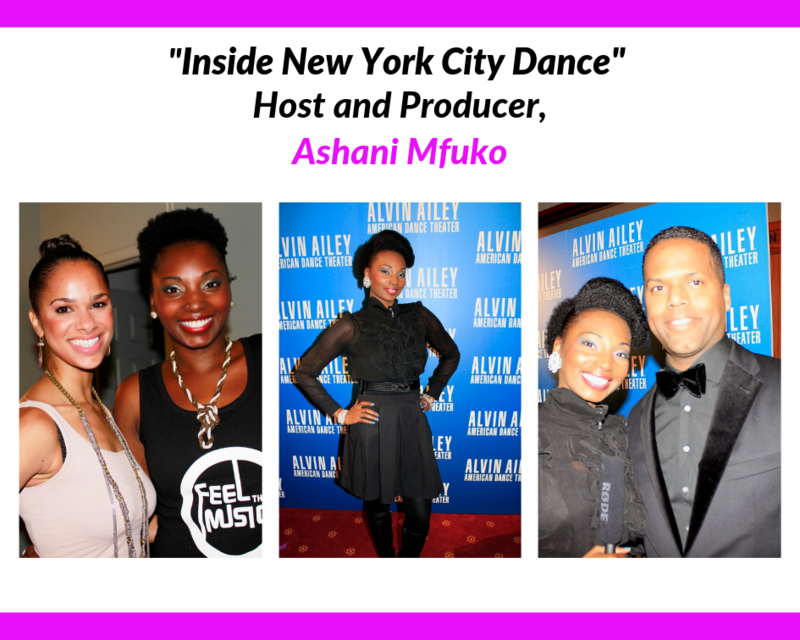 I’m Ashani Mfuko, a Business, Marketing, and Money Strategist for the dance industry, and also a Professional Dancer. I teach dancers and dance business owners how to stop trading dollars for hours, and start making money online. I am the Founder of Finance Your Dance Academy, and Video Mastery Academy. I help dancers and dance business owners go from broke, busted, and disgusted, to fierce, fabulous, and financially free! Yes, that’s ME! 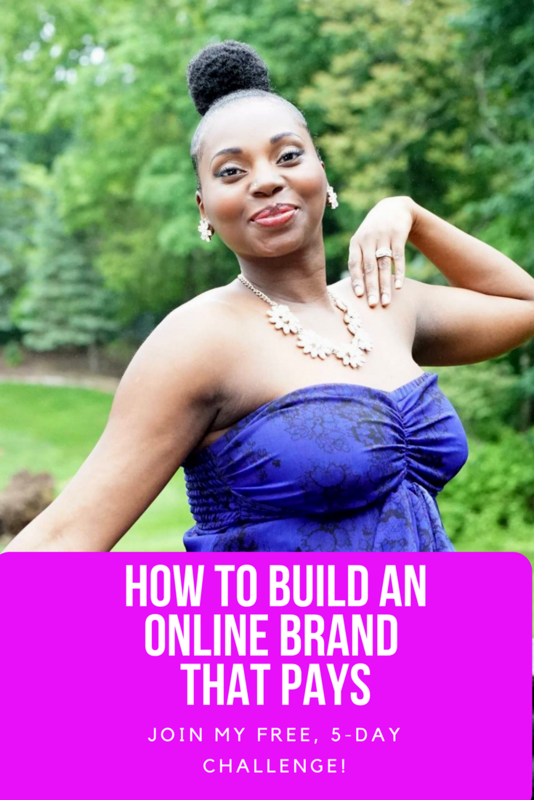 My goal is to empower you with the knowledge, skills, tools, and strategies you need to build an online brand that is powerful, and profitable! 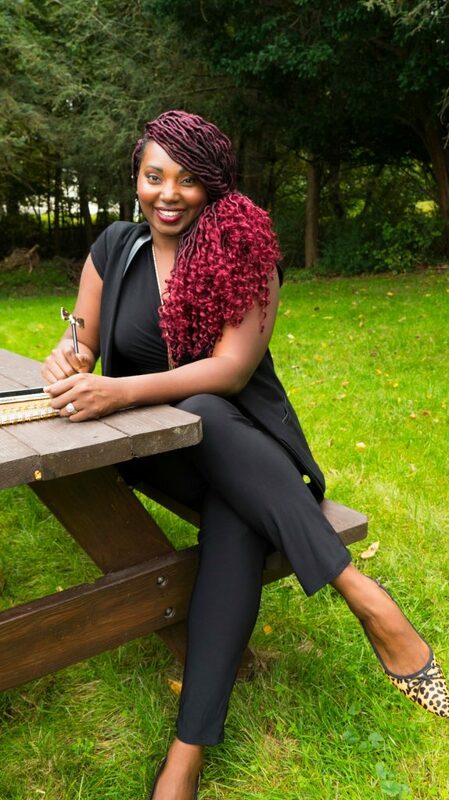 I’ve been called to teach you how to leverage your God-given gifts and talents, to create multiple streams of passive income, and start working smarter, not harder. One of the best ways that you can accomplish all of that, is to consistently create and share high-quality, high-value, captivating videos online (and no it doesn’t matter how many video views you get…there are a lot of broke people with viral videos online). 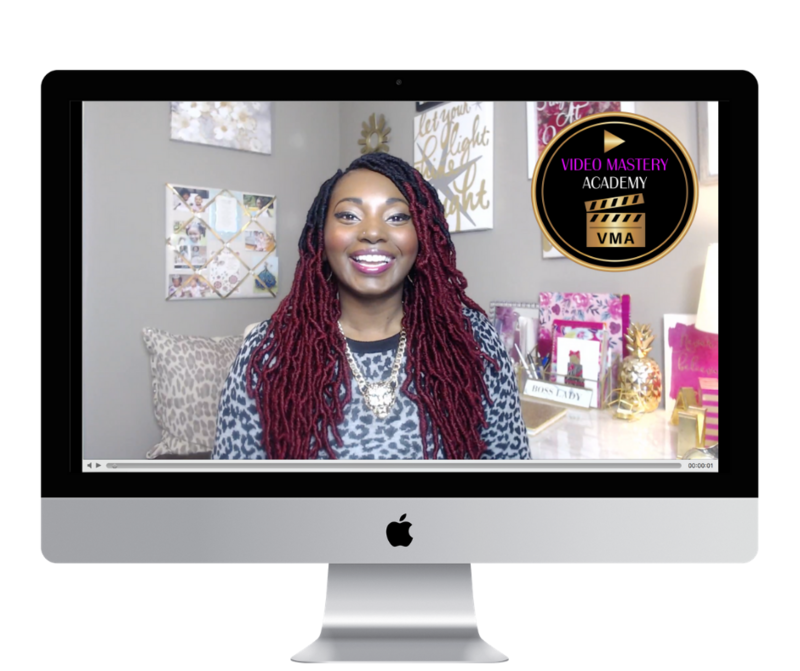 Why am I qualified to teach you about how to build your online brand, in a powerful, and profitable way through online videos? 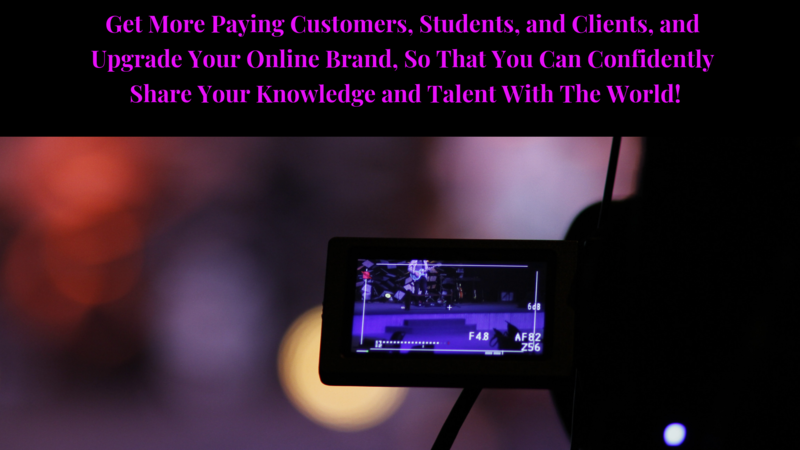 I’ve been consistently creating online videos since 2009, and as a result I’ve made thousands of dollars as a professional dance business consultant, and social media marketing strategist. I’ve become known as a top authority in my field, and have been featured on television, and in magazines, all as a result of my online videos, and professional work in the dance industry. I’ve also consulted with some of the top dance brands in the dance industry, to create video marketing strategies, and online video content strategies. These companies include: Camille A. Brown & Dancers, The Joffrey Ballet School, and Bloch Dancewear USA. With Misty Copeland, Principal Dancer at American Ballet Theatre, On the red carpet at the Alvin Ailey American Dance Theatre’s Opening Night Gala, with Television Host, AJ Calloway. 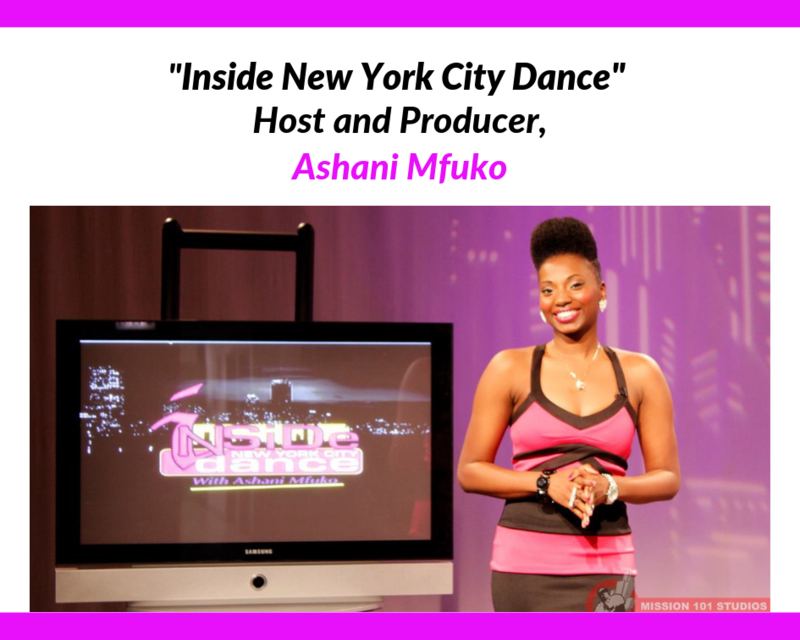 On top of that, I have hosted and produced my own dance tv show, called, “Inside New York City Dance”, and made numerous television appearances over the years, primarily due to my online videos. So that’s just a little about me, and why I’m so passionate about online videos. I know the power they have to completely upgrade, elevate, and increase your brand’s awareness online, and ultimately help you increase your income or revenue. 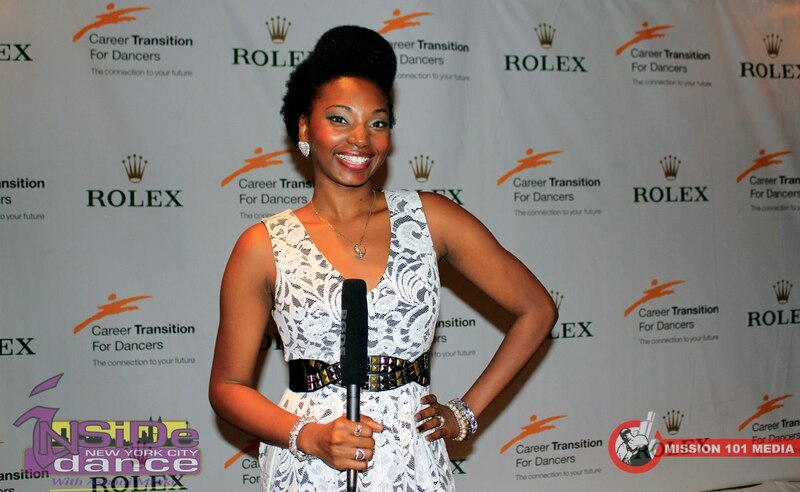 At The Career Transition for Dancers Gala, doing media coverage for my dance tv show, Inside NYC Dance. Get more students in your classes. 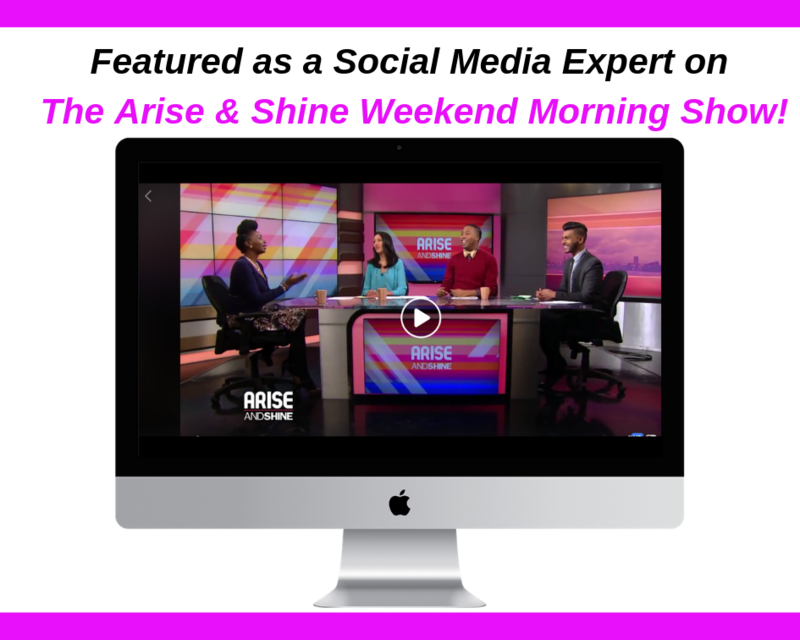 Get more tv appearances, and media opportunities. Get more speaking engagements (and become a better public speaker). Become recognized as a respected authority and leader in your field. 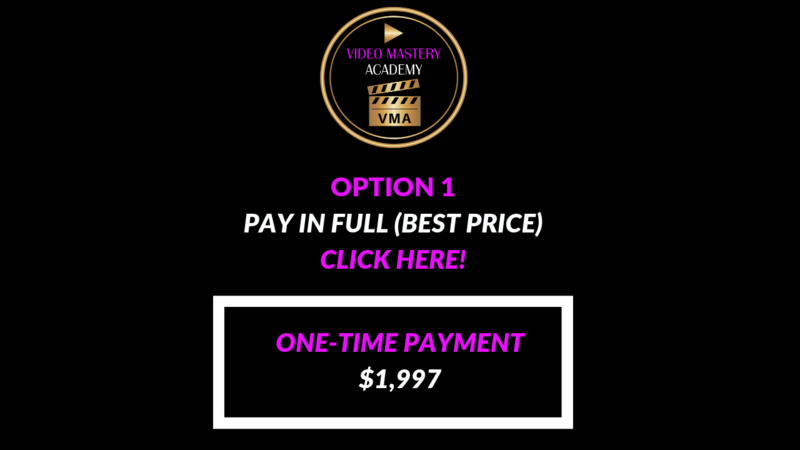 The Ultimate Online Video Training Program, that will help you master speaking on camera, create captivating video content, and start making money from your online videos! – How to discover who your target audience is, and what your target audience needs help with, what they’re struggling with online, or what type of content they like to watch online. – How to create high-converting content CONSISTENTLY. – How, when, and where you will roll out your video content. – How to build up the anticipation for your video content, and ensure that you make the greatest impact possible. – What the call-to-action/next step will be for your viewers, after they watch your video. – How to build a deeper connection with your viewers after they watch your video. – What your paid offer(s) will be to your video viewers. – How to follow up with your video viewers and followers, and stay connected to them to increase your sales, and get repeat customers. – How to measure your results, and use your results to amplify your impact, increase your sales, and make more money from your videos. – PLUS, I will include sample scripts for your videos, templates for video descriptions, and captions for your videos on social media. 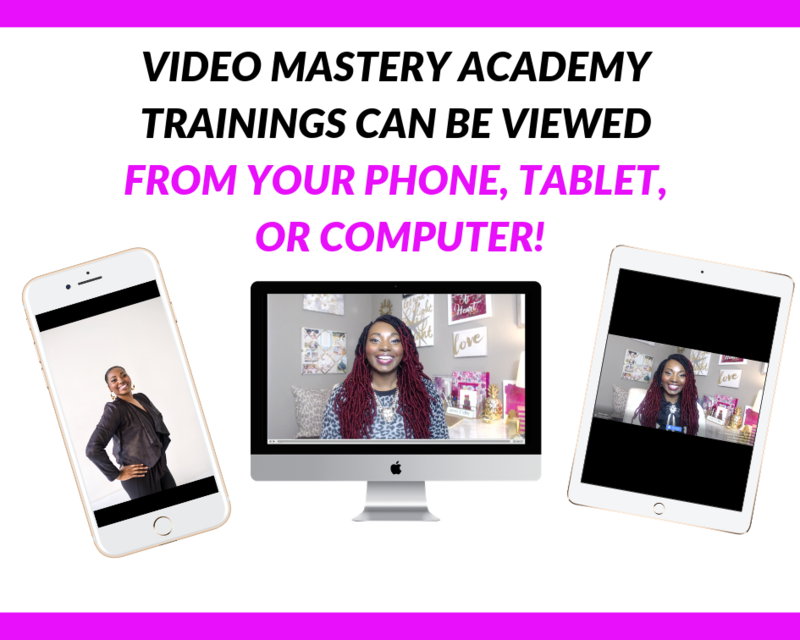 -I will also be teaching you how to re-purpose your video content, and get multiple uses out of one video. – Lastly, I will break down for you, step-by-step, the same online video marketing strategies that I created and used for major dance companies and organizations like, Camille A. Brown & Dancers, The Joffrey Ballet School, and Bloch Dancewear, which helped them get hundreds of thousands of views on their online videos (and even millions in some cases) and convert their viewers into paying customers, students, and supporters! BONUS: Make-up tutorials from yours truly! You asked, I answered! I will be sharing some simple make-up tutorials for looking your best on camera, so that you can grab the attention of your target audience (and keep it), in your online videos. THE COURSE OFFICIALLY LAUNCHES ON MONDAY, MARCH 18TH, 2019! YOU MUST SIGN UP NO LATER THAN MARCH 16TH, 2019. 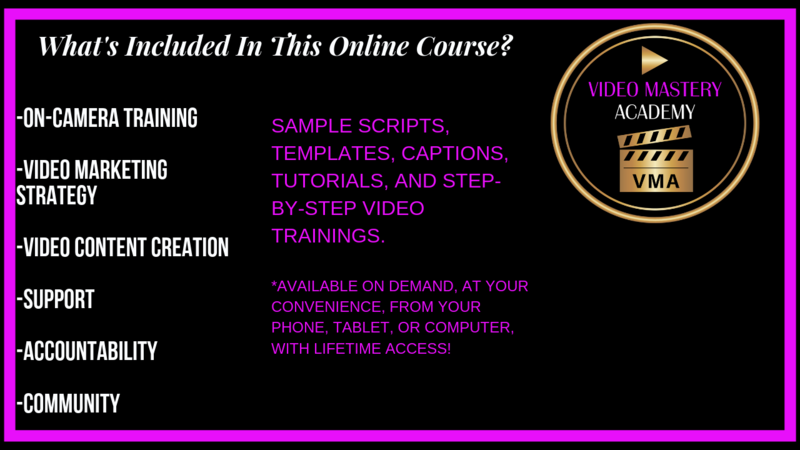 This online course, with all of the course materials, video tutorials, video trainings, video strategies, on-camera training, downloads, and done-for-you templates, and scripts, is valued at over $7,000! 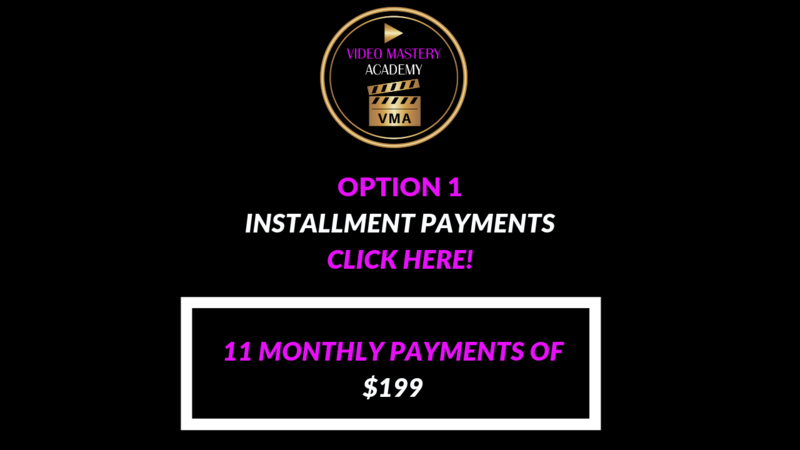 But the actual cost for this program is only $1997, for the 8-week online video mastery course! Yes, I know! It’s an incredible deal right? 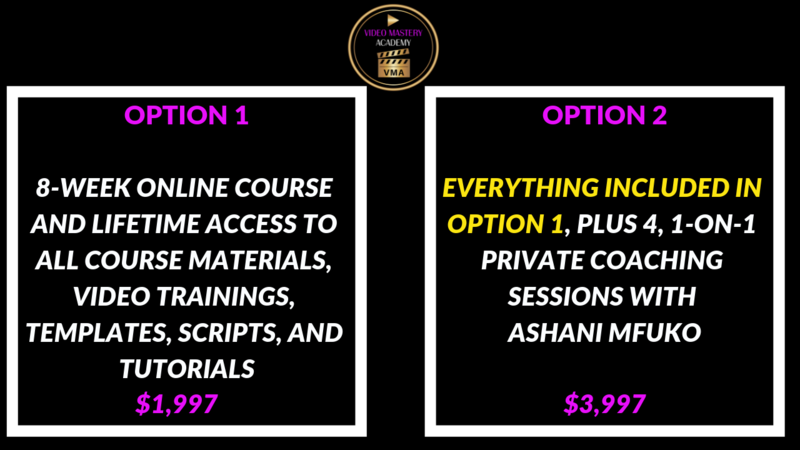 If you’d like to work with me 1-on-1, in addition to doing the premium course option, which includes 4, 1 hr-long, Private Coaching Sessions with me, you can do so at a cost of only $3,997. CHOOSE YOUR PAYMENT OPTION BELOW, AND CLICK ON THE APPROPRIATE IMAGE TO CHECKOUT. This is an 8-week online course, which means that you can do it on-demand, at your own pace, from any device you choose. 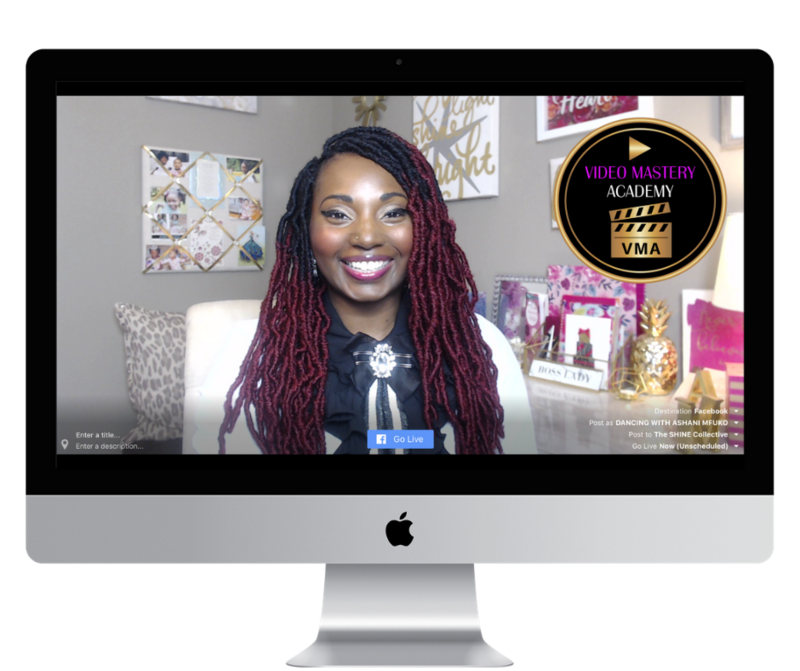 PLUS, you will have lifetime access to all of the course content, downloads, worksheets, templates, scripts, Q&As, and video trainings. Sign up below to get into the course (and coaching program), before it closes, on March 15th, 2019 at midnight!